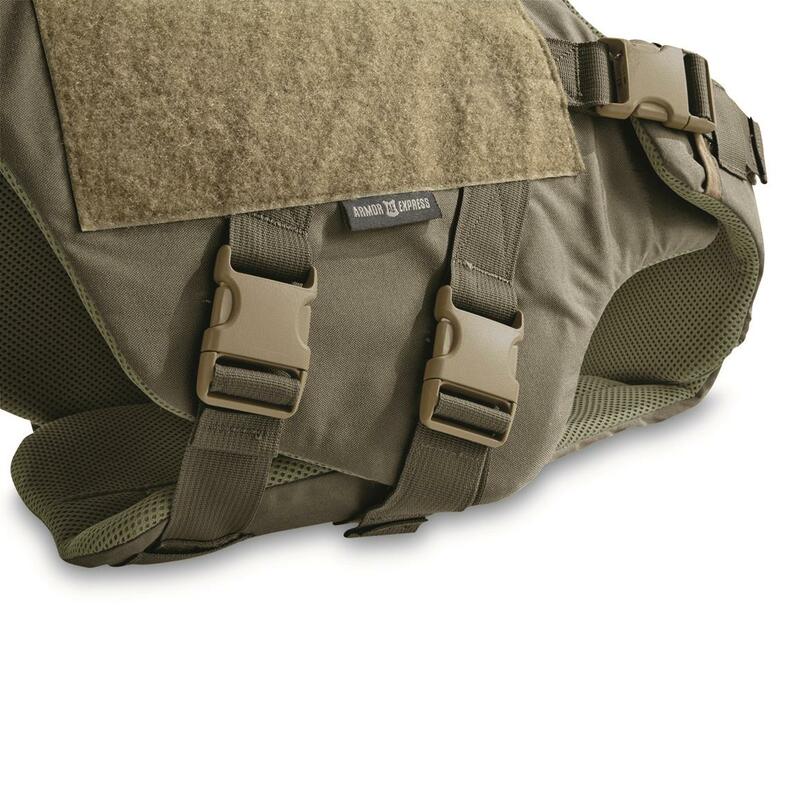 Rugged protection for your K-9 partner. Whether he/she is your partner on patrol or your partner on the hunt, give your pooch the protection they deserve with the Armor Express Tex 10 K-9 Vest. As the leading manufacturer of K-9 armor in the U.S., Armor Express protected more than 1,000 K-9 teams in 2016. 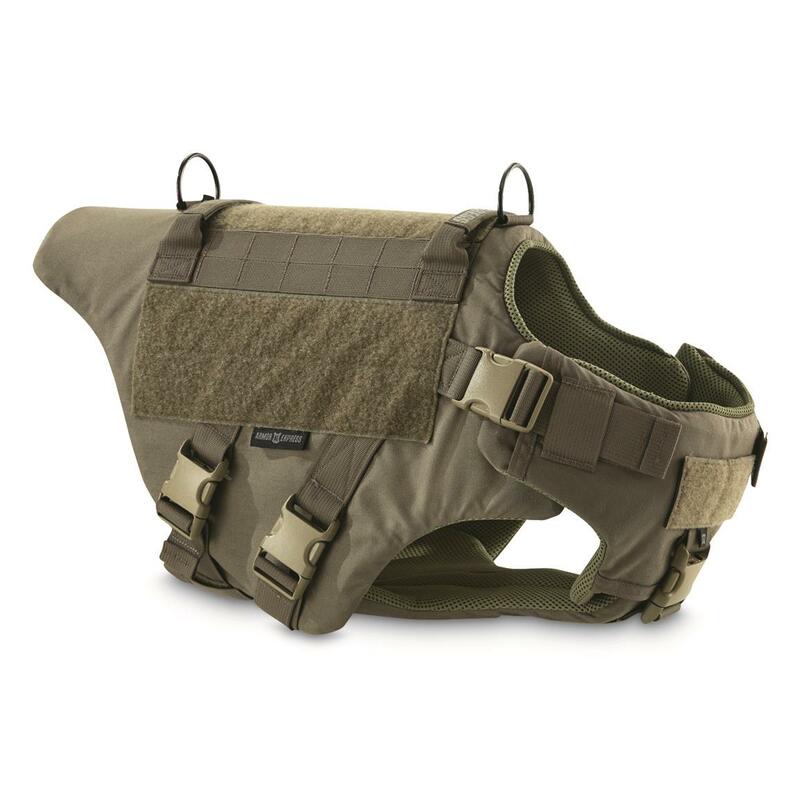 They've perfected the design of their Tex 10 K-9 Vest to be adjustable, comfortable and lightweight to keep your dog highly mobile and highly protected. Plus, the Vest can easily be up-armored with Armor Express ballistic or spike armor for maximum protection from pistol rounds, rifle rounds and edged weapons (armor NOT included). 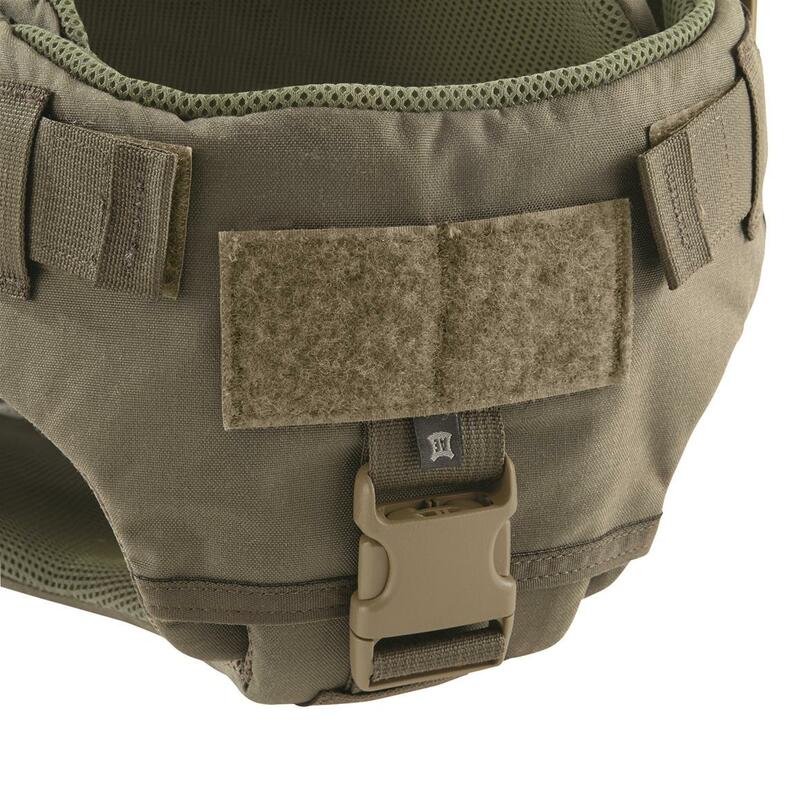 Multiple sizing options with side and chest buckle adjustments accommodate a wide range of breeds while smart features give you options for attaching long or short leads, ID badges, camera mounts and MOLLE-compatible accessories. 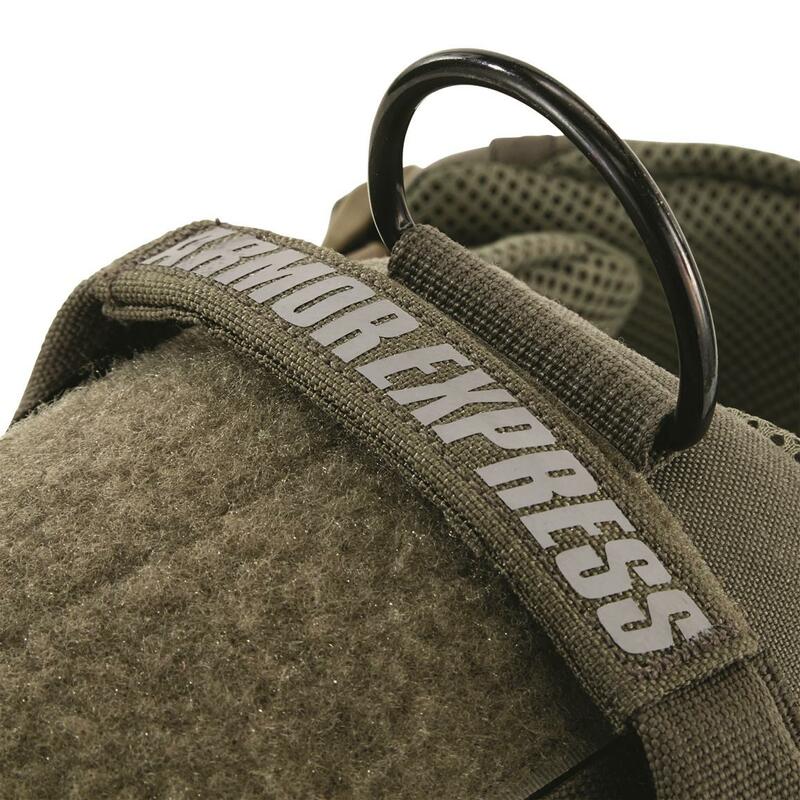 The Tex 10 features dual crowd control handles, two D-rings for short or long leads, MOLLE webbing for attaching flashlight and tracking devices, as well as front, left and right hook-and-loop ID panels. Two side buckles and a chest buckle make it easy to attach the Vest to your dog, adjust the fit and remove. 3D Spacer Mesh Lining provides comfort and cool breathability during warm weather ops. 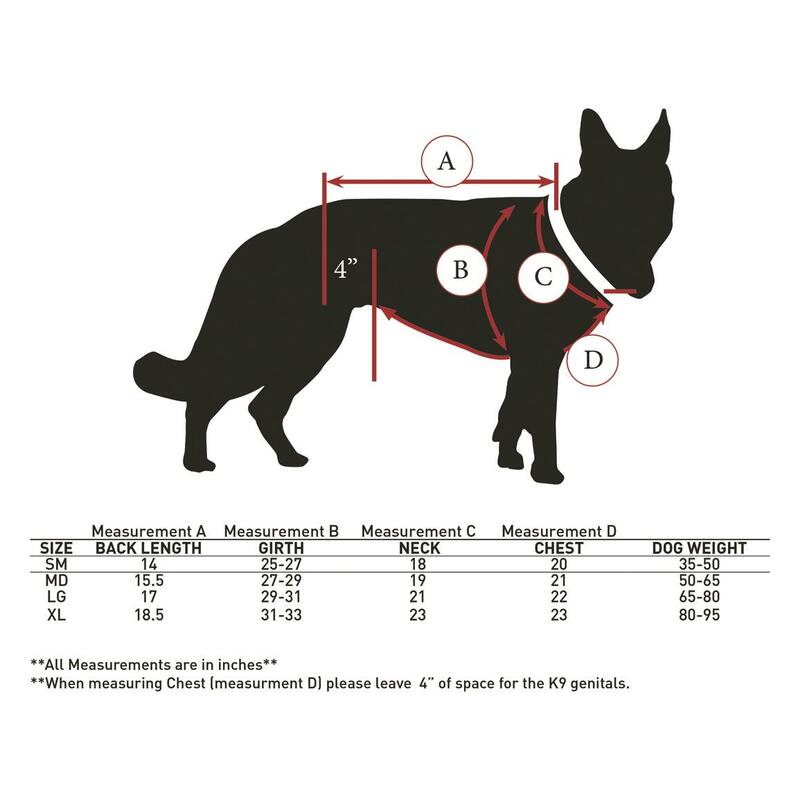 Fully belly and chest coverage protects your dog's undercarriage, while wrap-around panels protect from the side. In addition, the Tex 10 can be up-armored with Armor Express® Level 2, 3A and Stab/Spike Ballistic plates/panels (sold separately) for protection from ballistic and edged weapon threats. Following a mugging during a pizza delivery, Richard Davis — inventor of soft armor and co-founder of Armor Express® — went to law enforcement supply stores to look for a way to protect himself. He was shocked to learn that nobody made soft, concealable body armor. Up to that point, Law Enforcement Officers wore flak jackets, steel plate — or nothing at all. Richard saw an opportunity, and set out to work on his own soft armor. In 1971, after years of development, Richard had a product he knew would save lives. To sell it, he did the unthinkable: he put on the armor he made, and shot himself point-blank with a .44 Magnum revolver (don't try this at home). It worked, and Law Enforcement Officers bought his product. The materials and technology have come a long way since the early 70s, but current Armor Express CEO Matt Davis sells it the same way his father did. By now, both men have shot themselves over 200 times. Because they trust their product. And they want LEOs, firefighters, service providers, and anyone who needs added protection in dangerous situations to trust it too. PLEASE NOTE: This Vest does NOT include soft armor. VISM By NcSTAR 20L Tactical Backpack with 10x12"
The max in ballistic protection for front, back and sides. Tactical Day Pack plus Level 3A Ballistic Armor, a personal protection must-have.